The Bambino Beside Me Sleeper allows you and your baby to co-sleep safely beside each other for the first few months. 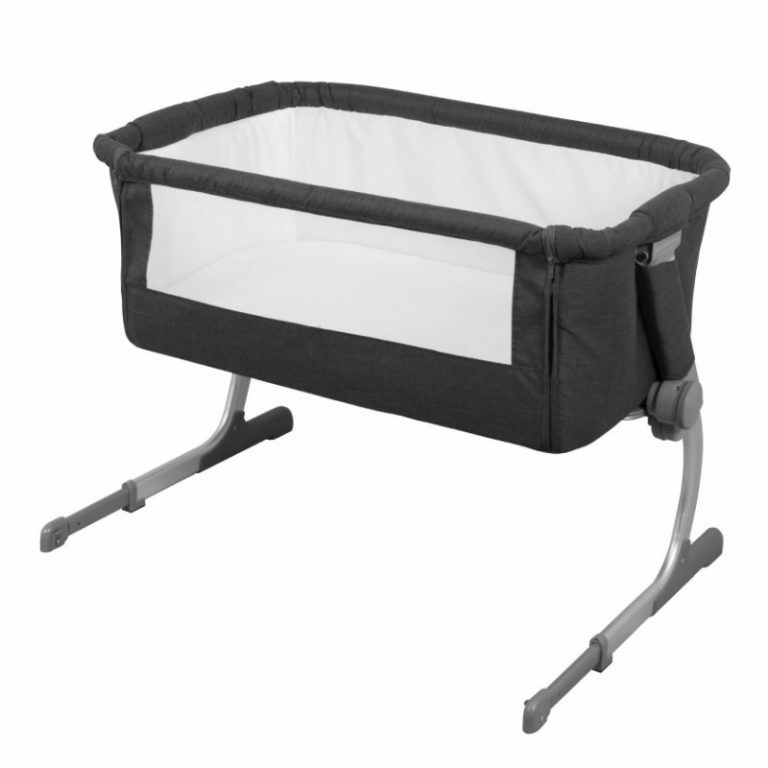 The Bambino Beside Me Sleeper includes both bassinet mode and bedside mode, and can be used as a stand-alone crib. Co-sleep safely with the Bambino Beside Me Sleeper. Allowing you and your baby to co-sleep safely beside each other for the first few months. The Bambino Beside Me Sleeper includes both bassinet mode and bedside mode for co-sleeping, and can be used as a stand-alone crib. This allows for better co-sleeping and close cuddles, better late night feeds and easier breastfeeding. Moms can rest easy knowing that their little ones are safe and comfortable. With the Bambino Beside Me Sleeper you can co-sleep peacefully creating a stronger bond with your precious bundle. Read our blog post on the benefits of co-sleeping to see why this product is a must have for new moms.